1976 was the year the Rolling Stones appeared. The event was billed as 'all the fun of the fair' and as well as the bands, featured 160 clowns, jugglers, fire eaters etc. Also medieval jousting. 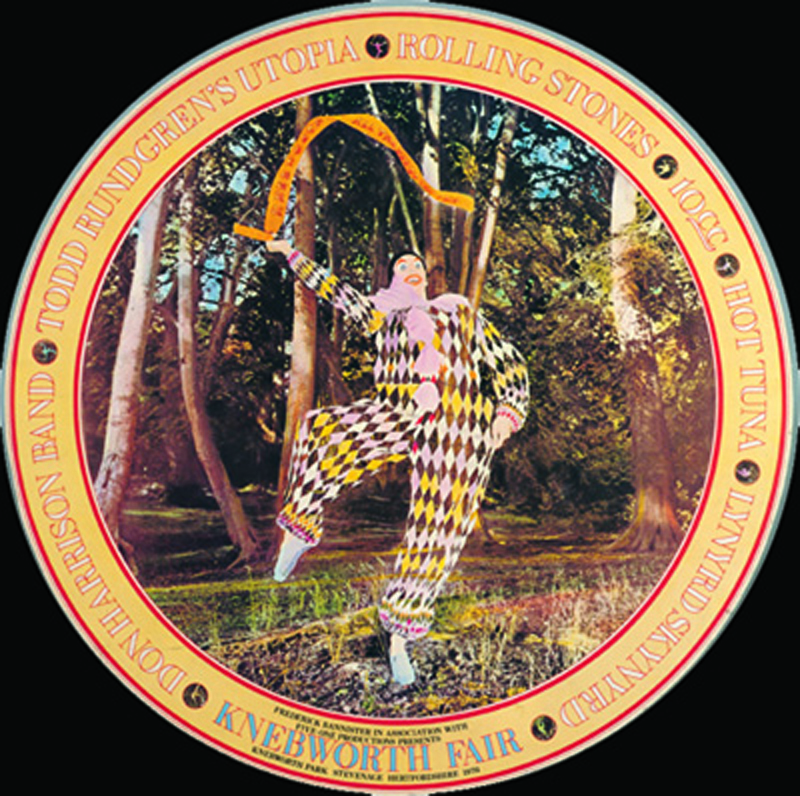 Designed by Hipgnosis the circular design of the poster was suggested by the Stones to avoid billing problems amongst the other acts and was probably the first time this type of design was used to publicise a rock festival.